If you are thinking about taking out your first credit card, it is important to do plenty of research beforehand and make sure you know the terms and conditions of your credit agreement. Having a credit card is vital for your credit rating, but it is even more important to use your card correctly. Read on to discover some of the things that most people wish they knew before getting their first credit card. A lot of people are tempted to make numerous credit card applications, so they can then see what they get accepted for, and choose the best one. This is not advised, as it will hurt your credit rating. Credit card searches and applications show on your credit report, and it can give the impression that you are a high risk. They will show on your report for six months. This is why you should use one of the comparison tools to find out how likely you are to be accepted, and then choose a card with over a 50 per cent change of acceptance. You don’t want to miss out on the best deals. You can find out about the different offers and the best cards for you at best.creditcard. There are some cards that will give you 0 per cent interest on balance transfers or purchases for up to 36 months, sometimes even longer. There are then cards that give you cash back, travel points, and other rewards. Think about what you need most, and choose the right offer for you. A lot of people don’t realise just how bad missing a payment on their credit card can be. First of all, you are going to be subject to interest added to your account. Secondly, you will have to pay a late payment fee. In fact, you could say it is a triple whammy, because the missed payment will show up on your credit report, and it will stay there for years. This will cause significant damage to your rating. The best thing to do is set up a direct debit so you can avoid this from happening. When getting your first credit card, you will likely have a small selection to choose from. After a while, this gets bigger, and you may want to choose a different card because they have better offers. 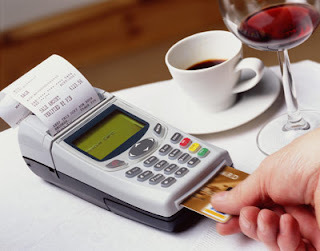 It seems sensible to close your first card, however, this can harm your credit rating. This is because it reduces the average age of your credit accounts. Hopefully, you now feel more prepared for your first credit card. There is a lot that needs to be taken into account when getting a credit card for the first time, and it can feel like a bit of a whirlwind. But so long as you are careful, and you use it responsibly, you should have nothing to worry about.